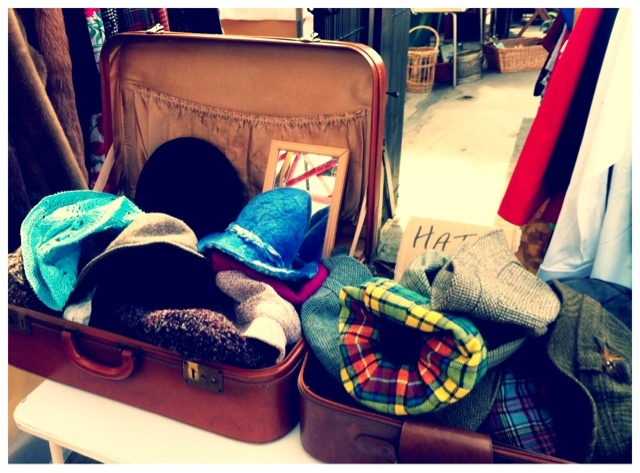 Last weekend, Tim and I went along to the Vintage and Food Producer’s Market, and I think it was great! Unfortunately Altrincham’s town centre has been undergoing a steady decline ever since I moved here. I love the town, and I love the idea that it has a Market. But up until now, the Market only seemed to have been frequented by clientele aged 70 and over! However, I do hope that the new markets being held on the market site, will bring buyers back into town. 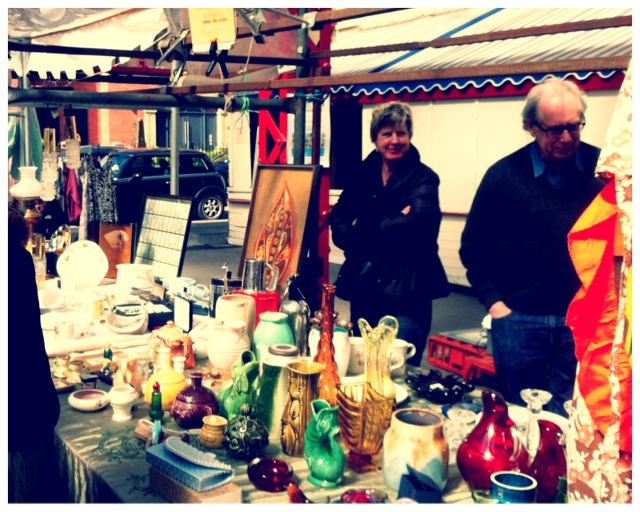 There were a range on stalls, all fantastic for rummaging through their wares. Some of the products are old, some are new (but made to look old). I think you’ll find that is what they call “Shabby Chic”. 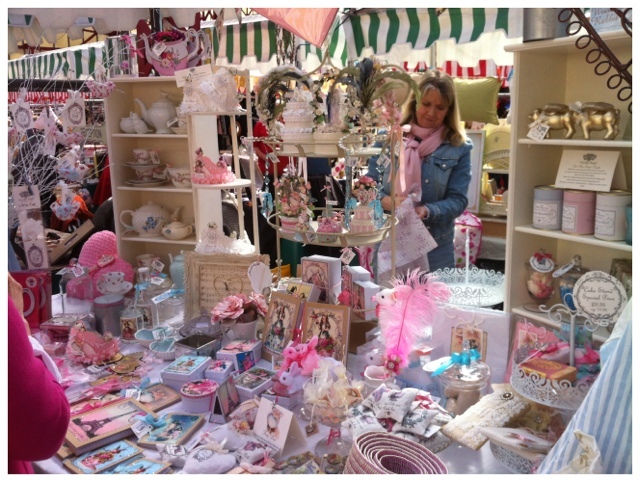 From the lady, whose stall is shown above, I bought some beautiful bunting and a paper teapot (I kid you not). I also bought an old framed fotograph of the Shambles in York. It it now hanging in my kitchen. 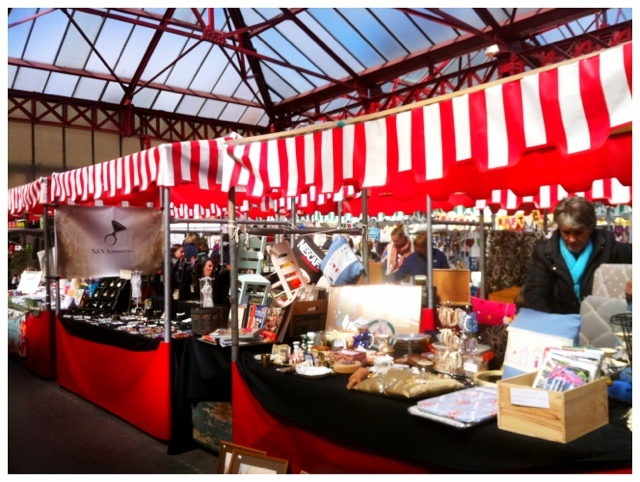 There are a variety of stalls: food you can eat there, food to take away, cakes, macaroons, Tatton beer (highly recommended), asian food, pies, cheese and much more. 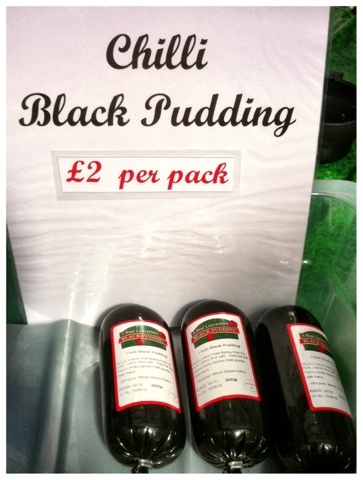 Tim bought (and froze) one of these black puddings, ready for when my mum and dad come to visit. 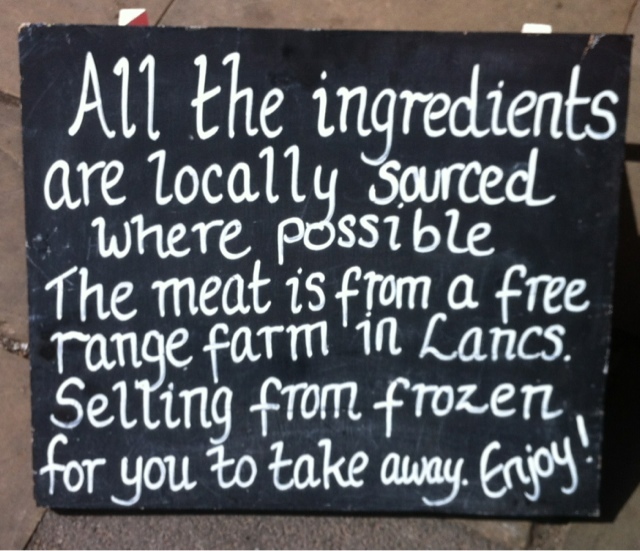 Why go all the way up to Bury Market for black pudding when we can get it on our doorstep! But why not come and see for yourself?